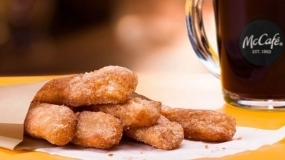 February 12,2019 – McDonald’s will soon have a new addition to its breakfast menu. The restaurant will offer “Donut Sticks,” beginning on February 20th. The Cinnamon and sugar confections will be sold in packs of six or 12.